Good morning, here's the latest news from the region. 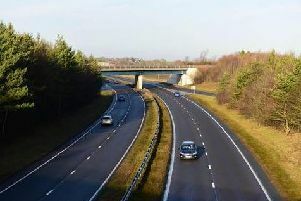 TRAFFIC - North East Traffic Live has reported that at the Western Bypass Northbound at J65 Birtley, vehicles involved in an earlier collision have been removed and all lanes are again open. Updated 6.08pm. There are delays reported on the A1 Western Bypass Northbound at Birtley following a four-car shunt which has blocked lane three, with police heading to the scene. Updated at 5.15pm. TYNE AND WEAR METRO - The service has reported it is running a frequent service with trains running to all destinations but not to the usual timetable. This is due to an earlier signalling fault in Wallsend area and train failure in the South Hylton area. Updated at 5.17pm. There are no services this week due to scheduled maintenance work. Emirates flight EK035 from Dubai, due in at 11.20am , is expected at eight minutes early at 11.12am. There are no reported delays but Flybe flights BE7658 to Cardiff 8.20pm and BE7657 to Aberdeen at 8.55pm are non-operational. LNER - Lines are re-open after a points problem at Dpncaster but the points will be repaired overnight, so there may be delays of up to 10 minutes due to the platforming restrictions.